For customer's projects in our development: first year free hosting! Next—one year hosting < 16$ (1,00 ₴/day)! Just mail us about Your project, for technical requirements and cooperation. 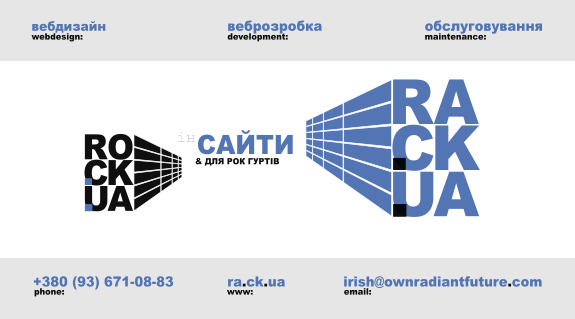 Domain [yourdomain].ra.ck.ua for life free! Migration Your office/business partly or whole to Free software (no need licensing fee). ...beyond the borders of comfort zone.